2016 is coming to an end. There’s been all sorts of interesting news over the second half – both in the “real world” as well as the Condo world. As with the first half stories, there was plenty of horror to go around. Let’s recap the second half 2016 Condo Association horror stories so we can learn from other Associations’ mistakes and look out for your own. It’s like that. 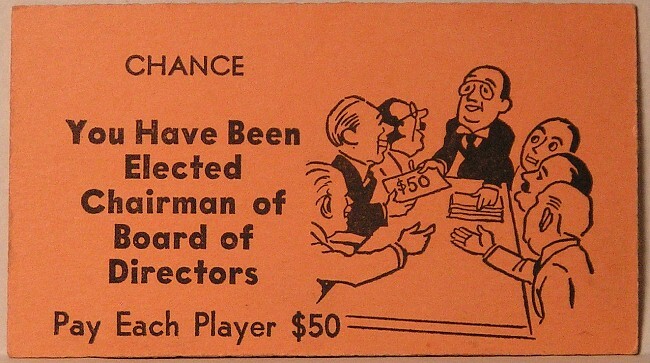 Except you’re not the chairman, and the other players are deadbeats. And it’s more than $50. Posted by Khon 2. Covered in the October Roundup. One of the biggest challenges an Association faces is ensuring that they collect enough money to pay their bills. In this story, an Association had such a large delinquency rate that they needed to issue a Special Assessment just to pay the bills. Having some Owners that are delinquent is inevitable. You must ensure, however, that delinquency does not get out of control. A little here and a little there doesn’t seem like much, but don’t give in to shared cost delusion. Eventually that money must be paid. Ensure you are aggressive about collections and have a good plan for fighting delinquency before it is too late. Posted by CBC News. Covered in the September Bonus Email. Want bonus emails? Sign up for them here. This is a horror story with a somewhat happy ending. A Condo Association in Toronto was able to reclaim its Board back from a number of rental companies who had managed to get elected. Using this power, the non-Owner Board members were changing rules and aggressively renting units in the building as short-term rentals. Fortunately, Owners were able to take back the building, but it took several years. This story was a little hinky because the Condo Bylaws allowed non-Owners on the Board. However, that’s no excuse for apathy. If you want to make sure a Board is reflecting the will of Owners, consider running yourself. Consider an Owner tune-up to make sure you know what’s going on, and if things are going off the rails, be ready to resist. Posted by the San Francisco Business Times. Covered in the August Roundup. This may be one of the most extreme examples of what can go wrong with a building as featured in the second half 2016 Condo Association horror stories. While there may be minimal sympathy for millionaires buying expensive properties, Condo defects can happen to anyone at any socioeconomic level. In this case, a huge Condo tower is literally sinking – far beyond projected tolerances. Initial studies seem to say it’s safe, but it is obviously quite worrisome. Make sure to do your due diligence before buying a Condo. There are many questions to ask for all Condos and conversions. Make sure you know the things no one tells prospective buyers, as well. The bottom line – do your homework and make sure you’ve got a good financial cushion in all cases.